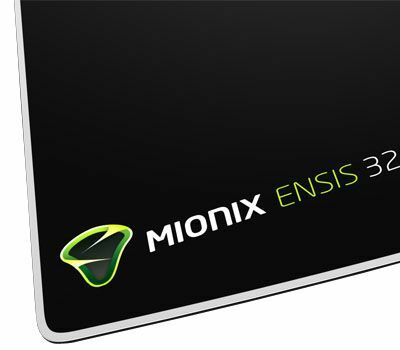 The Mionix Ensis 320 is made of forged 1mm Aluminum alloy for a strong but lightweight construction. The surface has been treated with a very low data loss treatment, which gives a matt black glow. With 1mm natural rubber underside provides non-slip grip whilst still maintaining a very low overall profile of 2mm. The Ensis 320 was designed with our in-house S.Q.A.T. 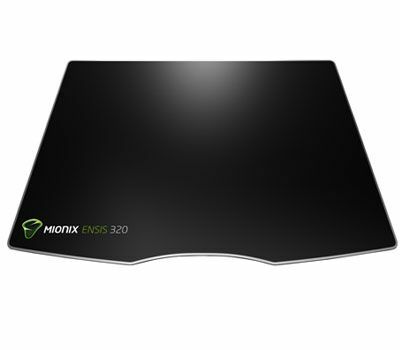 technology (10/10) that tests the data loss of the surface, many months of testing has been carried out to ensure that this aluminum mouse pad has an extremely low data loss whilst still maintaining ultra low friction glide. Sleek black coated aluminium alloy surface for superior tracking performance. 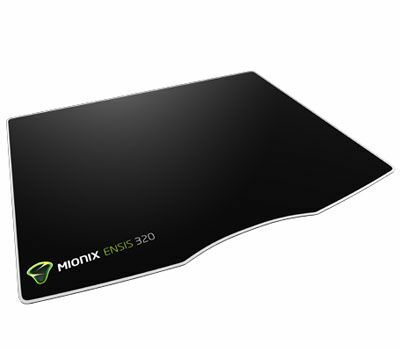 Surface engineered with the Surface Quality Analyser Tool which is built into the Mionix NAOS 5000 gaming mouse and measures the data loss between images of the surface taken by the mouse sensor. The Ensis 320 is rated 10/10. The characteristics of a aluminium alloy surface gives a smooth super low friction glide with added agility to all gamers.